Basically this episode was all about why you should ship Fitz and Simmons if you don’t already. OK, not really, but I think that’s what some of us got out of it, myself included. I tried to hold out, but now it’s hopeless. When Fitz yelled, “Jemma!!! NO!!!!!! !” it was all over. But I’m getting ahead of myself. One thing I lamented about when I talked about my first thoughts on Agents of S.H.I.E.L.D. was that I didn’t really love any of the characters yet (except Coulson, who we already knew), and that was just so weird for a Whedon show (based on my experience with Firefly and Dr. Horrible; I haven’t seen any other Whedon shows yet). And lately, everything has felt so Skye-centric and I’ve just gotten tired of her. So to have the focus to shift on the scientists of the group, who have always had such quirky conversations but we knew so little about, was great. We knew they went to school together, but what is their history exactly? At first, before I caught that they had different last names, I thought they were brother and sister because of their obvious connection but lack of romantic behavior toward each other. Then I learned they were just long-time friends, and of course your mind jumps to the conclusion that guy + girl + friends = future romance, but there are an equal number of guys and girls on the cast of this show and somebody needs to keep it platonic, right? That’s what I told myself anyway, as it was obvious they wanted to set up Skye and Ward for future romance. There was some great dialogue that I think revealed a lot about Fitz and Simmons’ friendship without spelling out all the details of their background together. But seriously, despite all my ship talk, I don’t want for things to get ruined by them rushing into romance too quickly. A lot of times when couples hook up on shows, the dynamic is suddenly a lot more boring. I don’t think that has to be the case with Fitz-Simmons, but I don’t want to see any hyper-acceleration into a relationship either. And if and when they get into one, I want them to still be normal, not all lovey dovey. I want them to have the same kind of fights and say the same kind of things to each other. I just hold a personal belief that best friends can make great life partners. And honestly, other than Simmons’ thank-you kiss to Fitz, I don’t think the episode was actually trying to be heavy-handed with a romance potential. Obviously Fitz is worried about his friend and lab partner, because they are so close. I just love how pure-hearted their friendship is, and seeing those kinds of relationships usually make me want to see it become more, but still remain pure-hearted. Typically TV shows like to dramatize these things though, and honestly, I’d rather them be friends forever than see a ruined romance. So I’m not thinking ALL about romance here. I just want what’s best for their friendship, and them, because now I love their characters. Another highlight of this episode was seeing Fitz, Simmons, and Skye poke fun at Ward, and then to see Ward loosen up and poke fun at himself. And then also we got to see Coulson open up to May, and it continues the mystery of just what happened when Coulson died, and just how much May knows about what happened to him, and perhaps if she knows something about dying herself. Overall, this was the episode that made me care the most about everyone, and I think that’s a sign of a strong episode, fangirling aside. For differing thoughts on this episode, check out what Nashville Bookworm had to say. If you saw the episode “FZZT,” where were your thoughts? 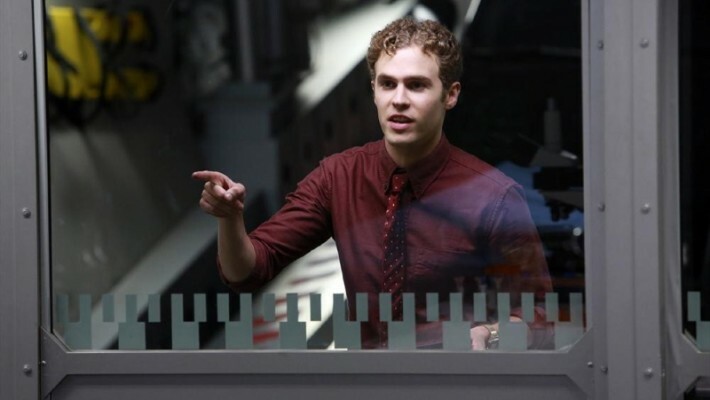 Are you a Fitz-Simmons shipper or do you want it to stay platonic? This entry was posted in Geekery, TV and tagged agents of shield, fitzsimmons, joss wh, marvel, TV. Bookmark the permalink. I think I’d have to say that I was a bit more invested emotionally into the characters than you say you were so, yes, ‘FZZT’ hurt me right in the feels. I liked Fitz and Simmons as the dynamic duo and knew from the first episode that they’d be more than the nerdy lab guys. The fact that they basically came with their own ship name, Fitzsimmons, was so cute and I was sold. That being said, you know when two friends date and it’s awkward? I feel like it’d be like that. I also read an interview with the girl who plays Simmons (I forget her name) and she said that she kind of wants to have them stay only friends to prove that girls and guys can be besties without dating. As a girl who has more guy friends than girl friends, and some who are like brothers to me, that speaks to me on so many levels, but at the same time….THEY’RE SO CUTE. In this episode, it was so neat to finally get some backstory on them and it made the ending so much more intense and emotional. But at the beginning of the episode, I kind of thought Fitz was flirting with Skye a bit, and that was just all wrong. Maybe it’s because I already ship Skye and Ward, but I was not digging that at all. Thanks for this great response! I agree with so much of what you said! I also usually get along better with guys than girls (I have, multiple times, hung out with my husband AND other guys without any other girls) and sometimes it’s more of a brother thing, like you said, but they’re just so cute together! And yes, the whole thing about Coulson and Fitz addressing her as “Jemma” when things got more serious was something that really got to me. 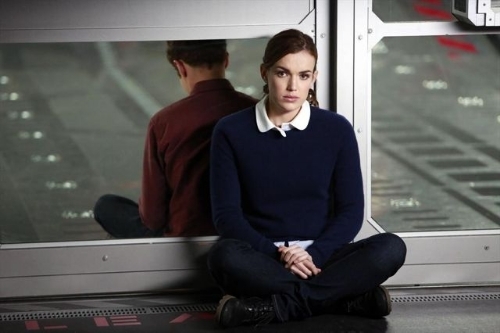 If anything happens with Fitz-Simmons, I do want it to be slow and natural feeling. When my husband and I started dating we had been friends first, and I didn’t think it was that awkward (once we started dating that is… there was definitely awkwardness beforehand! )… at least not for us, but who knows, maybe it was for everyone else! Hope they got over it since we got married! I do think Fitz may have been flirting with Skye a bit at the beginning but yeah… definitely not right. I think at the end of this episode he might have known that too. He had a look on his face after Simmons kissed him. Oh, now I need to catch up with the series! I think Fitz and Simmons are adorable and would love to see more from them. I’ not reading this whole post because I don’t want to spoil it for myself..lol I think I’m 2 or 3 episodes behind at this point.. maybe. Darn NaNo is keeping me from catching up. I’ll have to get my DH to watch them with me tonight maybe. I’d love to hear your thoughts on the episode once you get to watch it! I watched the first but I need to catch up..joss whedon is great at character development! He is, so I was disappointed at first, but now, it’s getting good! You should because they’re awesome! Last night was another good episode for them. Guh, this episode killed me. I kept clutching my face, lmao. T_T Their quirky conversations are THE thing for me. That and the recent May and Coulson one-sided conversation, lol. I’m getting pretty sick of Skye though, good to know I’m not alone. Ha ha, the one-sided May and Coulson convo was great!